Nintendo Co. is bringing together the magnetic appeal of Pokemon, smartphones and the Switch console to create an interlinked gaming experience. 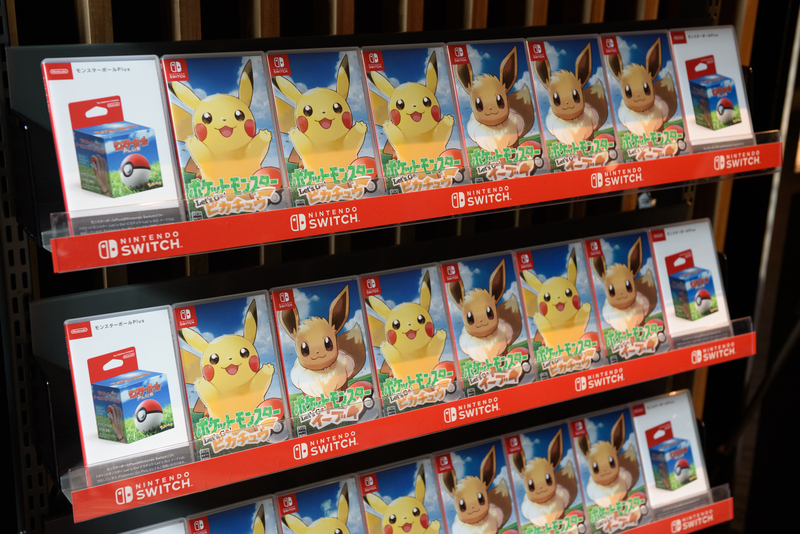 “Pokemon: Let’s Go Pikachu” and “Pokemon: Let’s Go Eevee” were unveiled by the Kyoto-based video-game maker on Wednesday. They’re designed to capitalize on the blockbuster success of the smartphone game “Pokemon Go” and a solid year of sales for the Switch tablet-hybrid gaming machine. The two new games go on sale Nov. 16 at ¥5,980 ($55) apiece. Along with a new Switch controller in the shape of a Poke Ball, the variety of gaming scenarios involving the various gadgets and games might risk befuddling many adults, but will make perfect sense to kids and Pokemon-generation gamers. The unified gaming experience is straight out of Nintendo’s playbook, encouraging people to move around and get physical. Investors responded well to the news, sending the shares up as much as 4.3 percent. “Chances are that Nintendo will dominate holiday sales not only this year, but also next year,” said Serkan Toto, founder of Tokyo-based games consultancy Kantan Games Inc. The Pokemon franchise has been around for two decades, and includes trading cards, arcade games, anime and manga series as well as titles for Nintendo’s handheld games and consoles. Nintendo’s partnership with Pokemon is deep. The firm behind the franchise, Pokemon Co., is partly owned by Nintendo, game developer Game Freak Inc. and another company called Creatures Inc., who all own the rights to the brand. 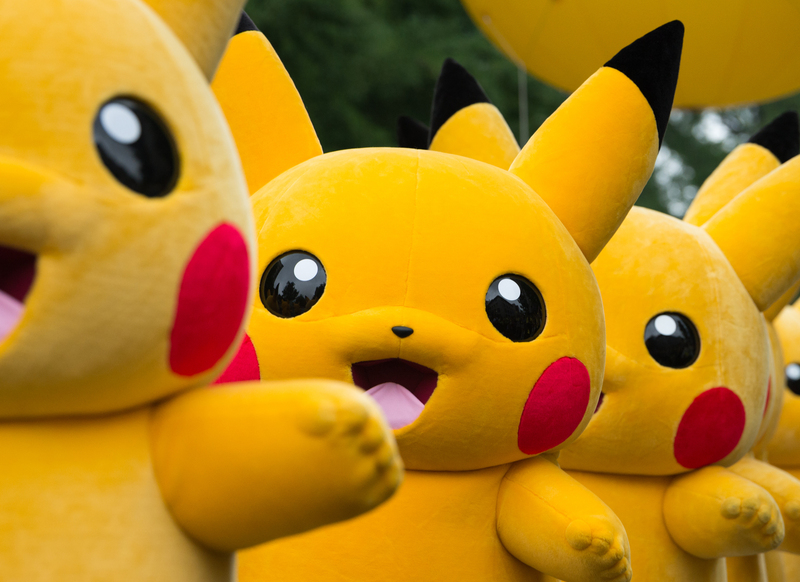 More than 800 million people have downloaded the “Pokemon Go” smartphone app and 65 million play it monthly, while 17.8 million Switch units have been sold since the device went on sale in 2017. Switch sales will probably benefit, and analysts are already predicting that Nintendo will surpass its target of selling 20 million consoles in the year through March 2019. Nintendo also unveiled the ¥4,980 Poke Ball Plus, a controller for the Switch that vibrates and lights up in the same way that Poke Balls behave in the Pokemon world where the spheres are used to store Pocket Monsters. They’re designed to be used during the game, so that people can carry their Pokemon around with them. The gadget will initially be sold in Japan only. 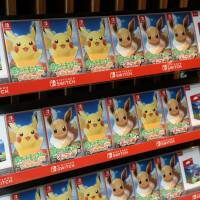 “As developers of Pokemon games, we had a strong feeling, and responsibility, to try our hand at the new Switch hardware and make it succeed,” said Tsunekazu Ishihara, CEO of Pokemon Co. He had hinted at the games announced on Wednesday in an interview in September, saying the franchise and new gaming products had yet to reach their full potential. 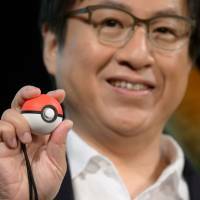 The Pokemon-Switch-Poke Ball system won’t include any online features, and is focused on face-to-face multiplayer gaming, Ishihara said. That could be disappointing, given that Nintendo is planning to roll out its Switch online service in September. Also on Wednesday, Pokemon showed off “Pokemon Quest,” a free-to-start game that will be released right away for the Switch and in June for smartphones. 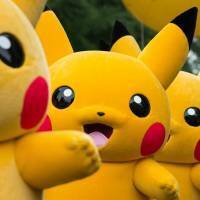 The role-playing game will be followed next year by a more ambitious Pokemon-based title that will debut in the second half of 2019, Nintendo said. Although details are scarce, Ishihara said the new game will focus more on the Switch as a portable handheld device, while the just-announced games are designed with home gaming in mind. 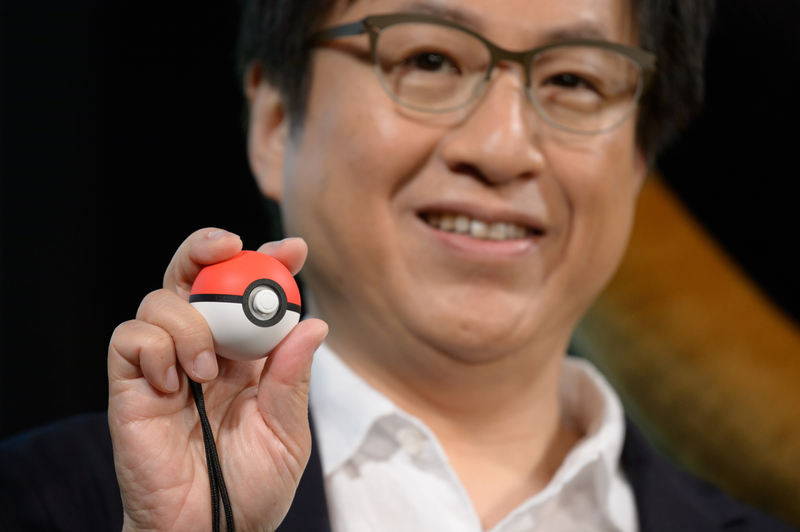 “The event was better than expected because of the surprises: the Poke Ball, the rapid launch of the free-to-play game, and the early announcement of the 2019 title,” Toto said.